Sultan Suleiman was the man of many titles. Kanuni Sultan Süleyman (Turkish), Suleiman The Lawgiver (Eastern World), Suleiman the Magnificent (Europe). Kanuni or Lawgiver referring to his legislations on the Ottoman law. He was famous for his concept of justice in the entire states of the Ottoman Empire. His excellent Codex-Suleyman synthesized Islamic Sheira law, Turkish traditions and secular law. 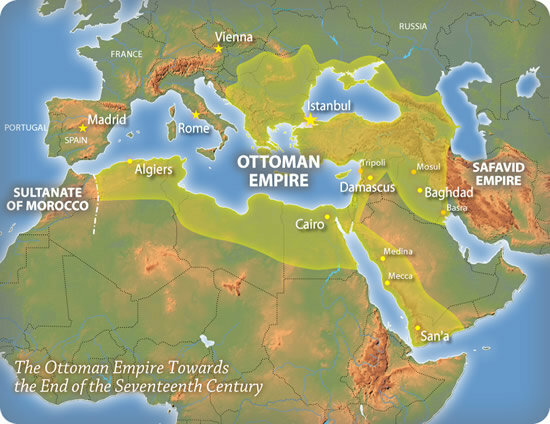 Considering that the Ottoman Empire were dominating the vast territories of Asia, Africa and Europe in the 16th century, his law penetrated from Egypt (South) to Crimea (North), from Romania (West) to the Caucasus (East). People of these lands, called him Lawgiver or Great. Due to this massive power, European historians named him as Suleiman the Magnificent. Strongest king of Europe, Charles V, refrained to meet him on the battlefield. It was because of the enormous power of Ottoman land forces. The unbeatable Janissary unites were extremely effective and militant on the open field. The Janissary troops did not lose any battle for 300 years following the forming of Ottoman army by Murad I (In 1363) Only failure of Suleiman was the Siege of Vienna, due to some complicated reasons. 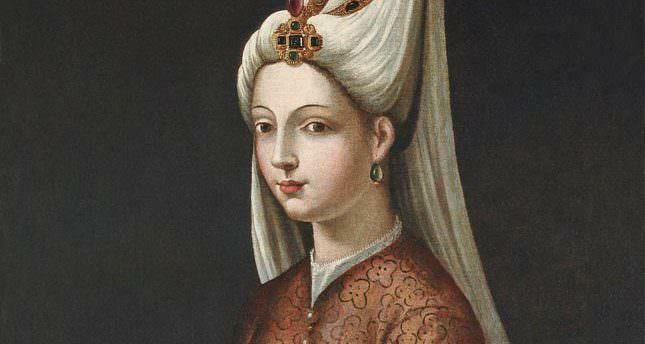 The most significant person in Sultan’s entourage was Roxelana (Also known as Hurrem Sultan). A daughter of a priest, the real name of this lady was Aleksandra Ruslana Lisowska. She was captured in a Tatarian raid and she was sold to the Istanbul’s Topkapı Palace. Aleksandra is known in western sources as Roxelana or Rossa, derived from the word Rousse meaning Russian. She is known as Hurrem Sultan in Turkey. 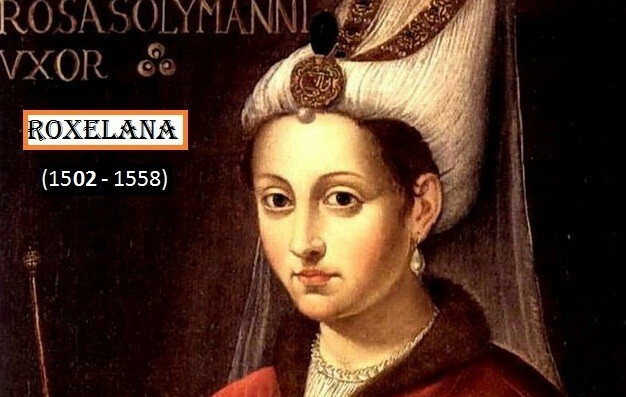 Roxelana was not the first wife to bear a son to Suleiman; therefore, she had to be in continuous struggle with Mahidevran who gave birth to the first son and natural heir. However, Roxelana still remained as the first wife that Suleiman loved the most throughout his life. 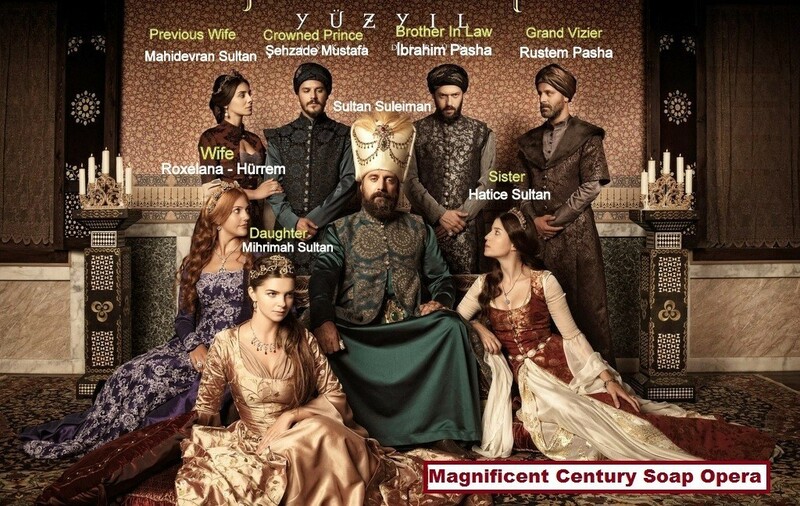 The great story of Sultan Suleiman, is known to the world now, thanks to the new Turkish TV Show. Magnificent Century soap opera, became extremely popular in Turkey at first. Then it’s sold to the TV Channels of Eastern Europe, Russia, Ukraine and Middle East. The fame of the Ottoman royal family passed beyond the boundaries of Turkey. 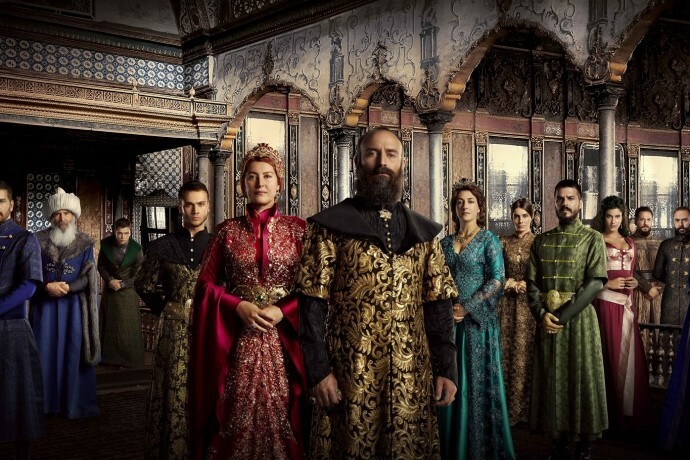 The Sultan Suleiman TV Series (Turkish: Muhteşem Yüzyıl) nowadays on the TV screens of Latin American countries too. Many people from Brazil and the other countries eager to come and see the famous Harem of Topkapı Palace. Turkish people are so familiar to the Brazilian soap operas from 80s. Now things changed, Turkish movies are also exported to Brazil too. Hurrem Sultan (Roxelana) gave a birth to a son Mehmed (1521) and a daughter Mihrimah (1522) and then three more sons. Selim (1524), Bayezid (1525) and Cihangir (1533). Suleiman’s first wife Mahidevran Sultan, and his son Crowned Prince Mustafa also lived under the same roof with the others. 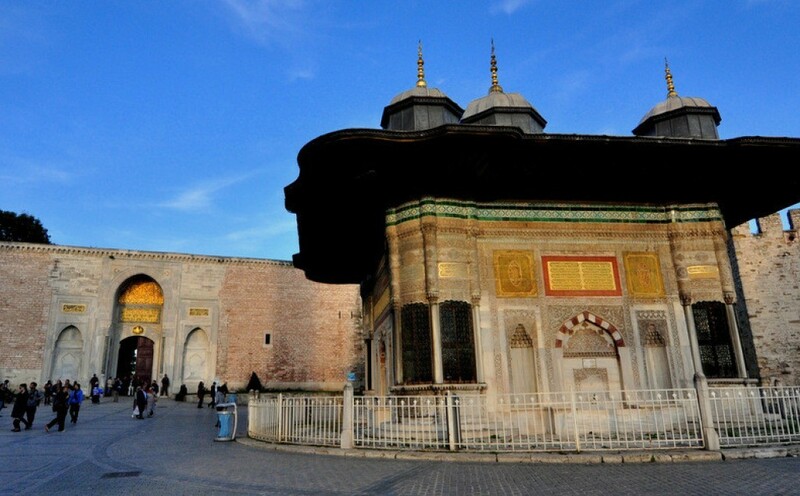 Harem of Topkapı Palace became the home of Sultan’s wifes, sons, daughter and sisters. The scenario of Suleiman’s TV Series, written by a very honorable scriptwriter, Meral Okay. She remained loyal to the majority of the events in the real history. Except for some personal affairs of Sultan Suleiman. As the life in the Harem had been very confidential, nobody really knew about actual issues. The creativeness of Meral Okay, becomes the part of narrative then.